Caffeine is bitter to taste, brown in colour and is found in drinks like coffee, tea, soft drinks and also in certain medications. It is said that caffeine affects the body's metabolism and can stimulate the central nervous system too. This can make you more alert and give you a boost of energy. •Myth: Caffeine is an addictive. •Fact: It is not an addictive if taken in limited quantity of about 2-3 cups/day. It can create an addiction if the intake is very high and one gets used to it. •Myth: Breast milk does not contain caffeine. •Truth: Breast milk can contain caffeine, and so the baby can get it through the mother's milk. It is always better to keep the caffeine intake in moderation for lactating mothers. •Myth: Caffeine consumption leads to insomnia. •Fact: Consuming caffeine in small amount does not lead to insomnia. If taken in very high doses, it can lead to sleep deprivation for some people. 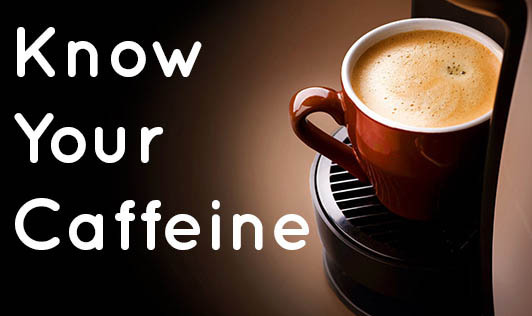 •Myth: Caffeine content will remain the same in all kinds of beverages. •Truth: The caffeine content may vary depending on the method it is brewed, type of plantation from where its bean is picked, and also on the amount of caffeine prepared. So the caffeine content of every beverage will differ. •Myth: Caffeine consumption can decrease the bone density. •Truth: Many researchers have found that there is no link between the bone density and caffeine consumption. Caffeine does not even play a role as the risk factor for osteoporosis. •Myth: Caffeine has no health benefits. •Fact: Caffeine can improve alertness, concentration in doing work, also gives an energetic feeling. It is lately said that caffeine containing beverages have good level of antioxidants, which may help in preventing diseases such as cancer. Many latest researches have shown that caffeine may also reduce the risk of Parkinson's disease. •Myth: Caffeine is bad for kids. •Fact: Generally it is said that kids have the same ability to process caffeine as adults do. A study also said that caffeine containing drinks and foods consumed in moderation have no detectable effects on children. However it is advised to keep a watch on the dosage for sensitive children, as excessive consumption has been shown to have some temporary effects such as irritability, reduced sleep, or anxiety. •Myth: Caffeine consumption causes cancer. Caffeine can be a part of your daily routine. But, keep a check on the amount and method of caffeine you are consuming.